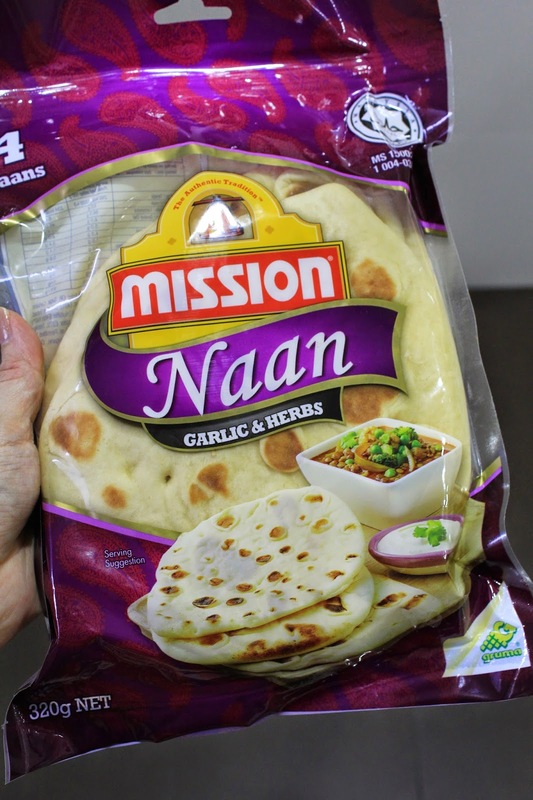 I was quite excited when I saw that naan has been introduced to the Mission range of bread, pita and wrap products. I bought it and decided to prepare a hummas dip for dinner to go along with the naan. I would usually use dried garbanzo beans (chickpeas) but I did not have the time to soak the beans overnight since I wanted to prepare hummus for dinner. 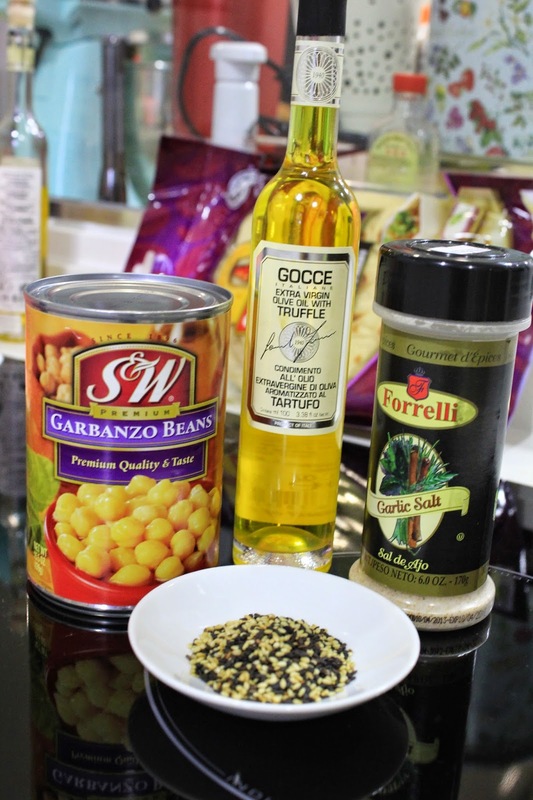 So, I grabbed a can of garbanzo beans and made my way home. There are many varieties of hummus recipes online, but this is how I prepare mine. I usually make use of what I have instead of going out to get every single ingredient for one recipe. So, I blended everything together and when a smooth paste is formed, I transferred everything into a bowl and added olive oil. Although Kiddo loves the naan, I thought it was too 'bready'... I prefer the frozen ones that I usually buy. I think I will start storing some hummus in the fridge and bringing it to work for lunch along with some carrot and celery sticks.